I love when Bowser invades my space. 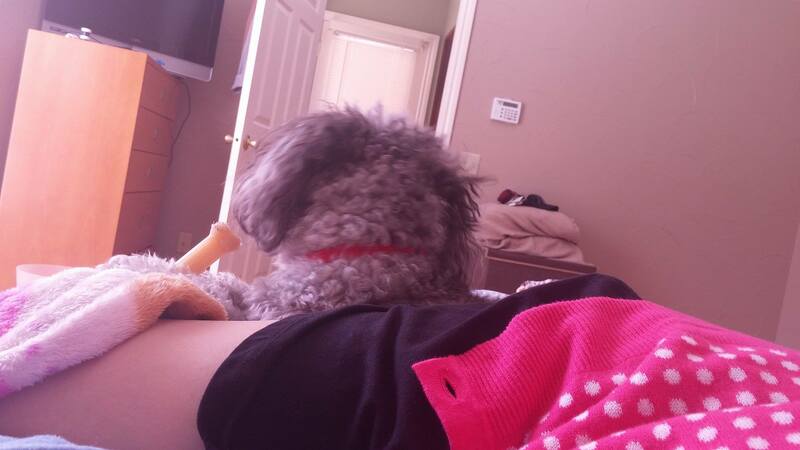 I love when he chews his bones on me. I’m sure some of you, or at least a lot of you, have heard the “Hate is such a strong word” or at least some sort of variation of this phrase. My mother always taught me to be careful when saying this word. Her advice in regards to it was, “Hate is a strong sentiment and should be treated with respect. You should avoid using it. It’s powerful and can do more harm than good.” At first, I didn’t understand what she meant. To a young girl, a word is a word. It isn’t a big deal. I didn’t fully understand the strength behind this word or my mother’s sentiments towards it until I grew older. Experience taught me that hate was a word that was either misused and/or used to cause harm. During my teens, hate was thrown about at any given chance. My friends hated that girl, she hated herself, she hated her brother, she hated that music, she hated her sister, mother, dog, and she hated the weather. Everything was hated. It was sprinkled into every single conversation. Some people would even yell “I hate you!” to their mother or siblings as if it weren’t a big deal therein lies the problem. Words have enormous strength. Once something is said, you can never ever take it back. You as a person are accountable for what you say. Words can be used to enlighten, straighten, love, show compassion, and hate. All of these emotions can be expressed through language. It is up to you how you choose to carry yourself. You can choose to hate or love. There’s another lovely saying that goes “Actions speak louder than words” and although I can somewhat agree, I don’t entirely feel that one thing is stronger than another or makes more of an impact but have their strengths. Words, like actions, have their own strength and their value should never be underestimated. In the end, what I would like to say is that the older I become the more powerful words seem. I want to use the word hate less and the word love a lot more. I won’t pretend that I’ve never used the word hate before because that would be silly. However, I am aware that I am accountable for what I say. My words are my own and I will be more cautious as to what I say or how I express myself. Aww thanks! I’m glad you felt that way. I try to cover all my bases when discussing topics so hearing that you agree makes it all worthwhile! You are so right. About words in general and the word hate. People that don’t think words have impact have never read and emotional or funny or inspiring book, article or blog post. I have been moved in all kinds of directions by just words being put in the right places. I am constantly amazed by how much impact words have in my life. And as you are saying about hate. It is a very strong word that I try to use very sparingly for lots of reasons. Great post! Thank you! I love that it made you think about language and how it takes shape. I can also relate in feeling all sorts of feelings when reading or hearing some wonderful works. It takes a lot of growing to realize that are words have power. You and me both. I also wouldn’t to waste all that energy and time hating something or someone. Better off not thinking anything of that person or situation. Hate doesn’t stamp out anything. Love and caring is where it’s at. YES! You get nothing from spewing hate. All it does is poison you on the inside. No one wants that in their life.